Since Christmas is just round the corner, I thought I'd share a little more on what are the shades I keep reaching for every festive season. Of course, these are all going to be Christmassy colours! Here's a shot of all of them together. Green, check. Red, check. Gold, check. Glitter bling, check. Yet more glitter bling, check. Let's start with one of my perennial favourites, Nails Inc Fitzhardinge Street. I know you're probably sick of seeing this shade now because I previously already did a Nails Inc Fitzhardinge Street NOTD, but I love this shade. It's the perfect deep Christmas green, and a one-coater to boot! The next favourite is Nails Inc Paddington Street, which has also been overexposed with a previous NOTD, and yet another previous NOTD. But I love this shade. Deep, smooth berry red, perfect not just for Christmas but also all year round - it's just such a classic shade. Annnd, gold! 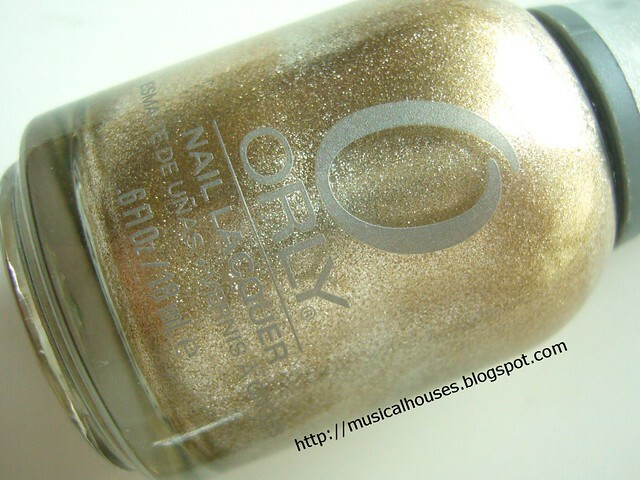 Orly Luxe (yet another polish I featured before sometime back, and again more recently) is definitely hands-down my favourite gold polish ever. I have a few golds, and none comes close. For me, this is it. Perfect neutral gold that looks good on any skintone, vibrant foil finish, and opaque in one coat. And, it also works well as a konading polish too, so it's really all that and a bag of chips. I've liked it so much I've used it not once, but twice! Now onto glitter. Let's ease you in with the milder stuff first. 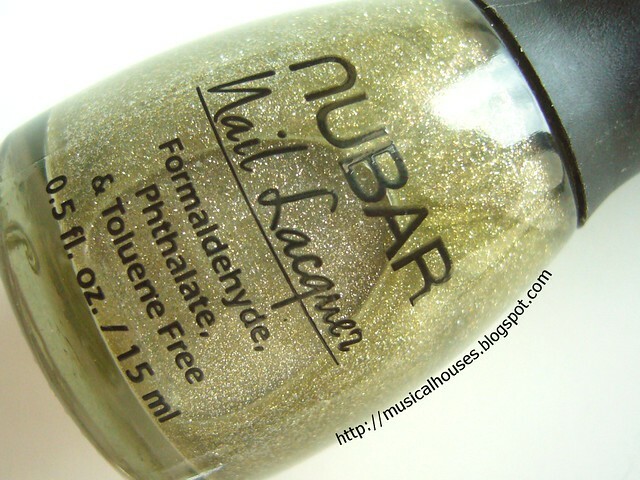 Nubar Candy Apple may look kinda puke-green in the bottle, but when on, it really looks more like small gold glitter in a clear base. This makes it perfect for layering on top of a creme polish for that extra sparkle. It's wearable on its own too, but the more you layer it, the closer it looks to bottle colour, and thus the less Christmassy it becomes. It's still a nice colour, but just not Christmassy. Now, the real bling. Before Essie Set in Stones was ever conceived, Maybelline Silver Spells was out there being a big, bad girl. Maybelline Silver Spells may look similar to Essie Set in Stones, but it really predates it by awhile. With two sizes of glitter, and a clear base, this is perfect for layering. I've used it in a recent NOTD, and the glitter is really dense. So there you have it - my favourite shades for the holidays! What are yours? Anything I missed out? Tell me! Oooh! I love the Maybelline polish - the glitter is GORGEOUS! I love ANYTHING with glitter!! love all the shades!!! very pretty!!! Nope! Not sick of Fitzhardinge Street yet!